Botox is the #1 nonsurgical treatment performed in the medical aesthetic marketplace. Last year, there were over 2 million Botox treatments performed, a number that’s been on the rise for the last few years. The Botox industry average revenue is roughly $1.3 billion and has been used for the past two decades. It’s clear that the Botox injection statistics recognize it as a top-notch product, but can doctors be more successful upon receiving Botox training? It’s true that Botox is primarily recognized as a cosmetic treatment, but Botox injections are also used for medical purposes. Here’s four reasons why we argue that Botox training can make doctors and nurses more successful within the medical aesthetics industry. Doctors and nurses are busy people who usually don’t have much free time to spare. With National Laser Institute, medical professionals can receive Botox training in as little as one day as as long as 10 days (with a comprehensive course). However, if your time is limited, you can receive training in one day where you will learn detailed information regarding techniques and treatment as well as hands-on training with scheduled clients. Because Botox injectables are used for cosmetic purposes, they are not accepted by insurance. So if you charge $400 for one treatment, you’ll make $400 minus the Botox cost. This means that Botox injections have the ability to make you more financially successful if you play your cards right. Botox treatments don’t take long to perform. In fact, Botox injections take roughly 30 minutes to complete at the most. 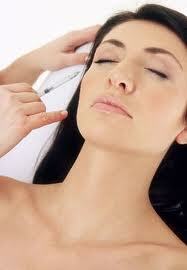 By adding Botox to your skillset, you can perform fast and effective treatments for your clients. And because Botox is a temporary treatment, you’ll be able to retain clients who will come back for your expert treatments after a few months. Botox injections are also used for medical purposes, such as to rid migraines, control bladder, eye spasms, muscle control, underarm sweating, and more. If you go on to receive Botox training for medical purposes, you’ll be able to help treat an entirely different client base and retain more business for your practice. It’s easy to see why doctors can up their success by adding Botox training to their level of expertise. National Laser Institute is just the place to do that. 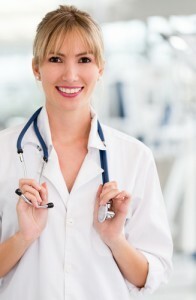 We offer medical professionals CE/CME credits upon course completion. Doctors and nurses will learn from experts in the industry and get to practice new, hands-on techniques on scheduled clients within a luxury medical spa setting. National Laser Institute is the leader in the medical aesthetics industry and has earned many outstanding reviews. We are recognized as gold standard education and have earned an A+ rating at the BBB. To learn more about Botox training for doctors and other medical professionals or National Laser Institute, please call 800.982.6817.